When I was working on a recent television interview in which I discussed school lunch, I was prompted to check on the progress of my daughter’s school lunches this year. I was pleased to find out that her school district has taken on the HealthierUS School Challenge! What is the HealthierUS School Challenge? The HealthierUS School Challenge is a government-to-school encourager to voluntarily make school environments healthier. The participation rate started skyrocketing when First Lady Michelle Obama added incentives to schools that took part. 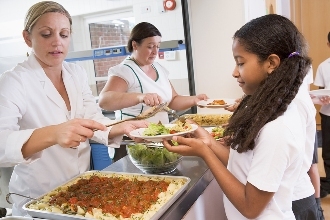 The result is that more and more schools are cleaning up their kitchens – reducing fat, calories and sugar and adding more nutrient-rich foods in their place – for the sake of our growing children. I don’t know about you, but I see this as a big improvement. Hannah’s school is teaching them MyPlate, the new USDA food icon, so they can make their own decision to fuel up with great food choices. Educating, Exposing and Empowering are 3 of my keys to long-term proper nutrition. It starts in childhood! Talk to your children about the food choices they make and empower them to eat the super power foods that will help them make good grades and do better at their extra curricular activities. 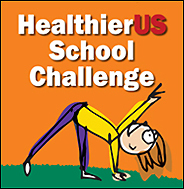 Does your school participate in the HealthierUS School Challenge? Find out here. If this is their first year to participate, you may want to contact your child’s foodservice manager and ask them. If they are not currently participating, encourage them to do so! 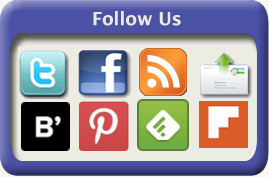 For more information on the HealthierUS School Challenge, go to: http://www.fns.usda.gov/tn/HealthierUS/vision.html.